“Levi” began as a short film. Writer/Director Craig Dean Devine and Producer/Actor Colleen Rita Donovan set out to make a movie that touched upon the growing opioid epidemic spreading across America. They both felt it was important to tell a story that didn’t glamourise the drug use, but instead gave a glimpse into the day of the lives of two addicts. They wanted to create a short that shined a light on how these drugs are accessed, dealt, and the various lives they affect. Developing “Levi” as a feature screenplay has been an exciting opportunity to answer questions that the short film poses. How did Levi become an addict? How did Levi and Farren meet? How deep does Farren’s addiction go? Does Levi have a family to return to? It has given me the chance to develop the characters, their history and their motives. Finding new and exciting ways to introduce the characters to one another and build on their relationship together. The feature platform has allowed us to raise the stakes. Levi has more to fight for, a reason to get sober and turn her life around. The short film throws you straight into the middle of a story, the feature will lead you through how Levi and Farren meet and what happens when she is confronted with the choice to steal from him. Higher stakes and bigger consequences. The feature platform gives us more license to play with pace, especially with scenes between Farren and Levi. When they are high together we want to be able to really draw out the dialogue and allow for space, giving the audience the chance to see the unglamorous, slow and dreary side of prescription painkiller addiction. “'Levi” the Feature Treatment and Script are available to view upon request. Email : craigdeandevine@gmail.com for a viewing copy. A few months after post production, the short accepted its first festival invite. 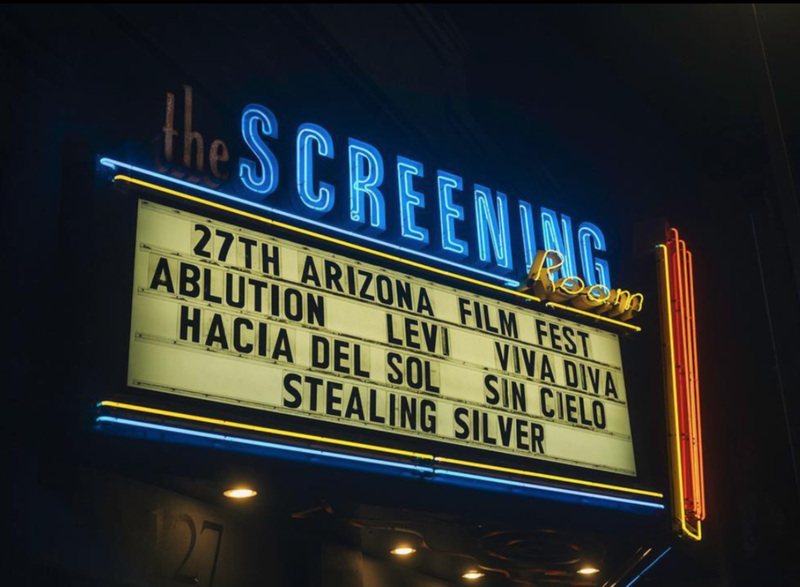 Having its U.S. premier at the “27th Arizona International Film Festival” where the movie was met with a wealth of positive feedback. The film and its creators were even invited to speak at a local high school, firstly as a chance to encourage young film makers to create and secondly as an opportunity to talk about the dangers of opioid abuse. Craig and Colleen started to get more of a sense of the importance of a story like this and the power the film has to educate. “Levi” was then invited to screen as part of “2018 LA Shorts International Film Festival”. During the Q&A they were questioned about the open ending nature of the short and if they plan to develop it any further. Audiences had a genuine desire to see more, to know what comes next, to delve further into the lives of the characters. At this point the feature script was on its second draft and Craig and Colleen announced that they would be pushing to develop “Levi” as a feature.